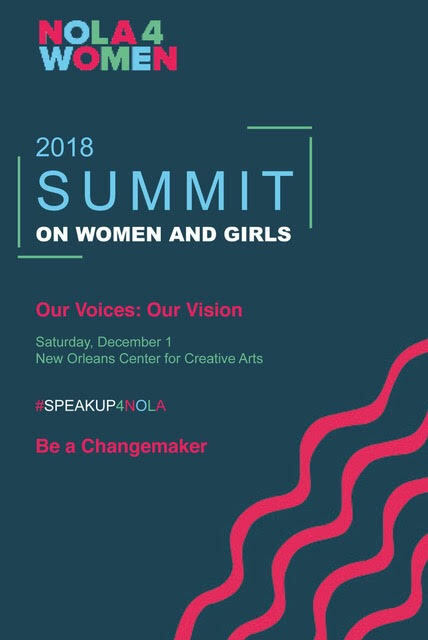 Shades of Praise are excited to join our voices with those at The NOLA4Women’s Summit on Women and Girls entitled Our Voices: Our Vision at the Press Street Station of New Orleans Center for Creative Arts (NOCCA). The day-long summit boasts an exceptional line-up of thought leaders and changemakers. There is no charge to attend but spaces are limited so please register on EventBrite.com if you will be joining us.